" Articles in Category: Time-Warner	"
Today, just minutes before airtime, the U.S. Dept. of Justice announced their lawsuit to try and block the proposed $85 billion mega-merger between AT&T and Time-Warner, claiming the takeover would "substantially lessen competition" and result in "higher prices and less innovation for millions of Americans." While that might normally be encouraging and long-overdue anti-trust news from a U.S. Administration, the Trump Administration's war on CNN (whose parent company is owned by Time-Warner) and a separate move by Trump's FCC Chairman Ajit Pai late last week, gutting decades-old regulations that prevented companies from buying up local TV and newspaper outlets in the same market, makes the DoJ's claims a bit difficult to accept at face value. 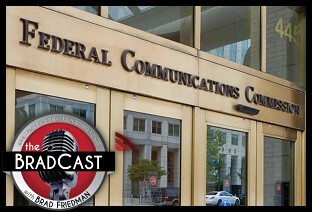 Joining us today is DANA FLOBERG, policy analyst at the non-partisan media watchdog FreePress.net, to explain how the FCC's vote last week to kill those rules threatens independent media and local news competition and seems to contradict the Administration's response to to the AT&T/Time-Warner merger, even as it paves the way for another planned mega-merger between the far right-wing Sinclair Broadcast Group and Tribune Media. That merger, along with the FCC's disturbing actions last week, with little publiclity and no public comment period, would allow Sinclair to reach some 72% of American viewers in an unprecedented takeover of as many as all of the local TV news outlets in your home town, eventually! Floberg tells me her organization favors blocking the deal between AT&T and Time-Warner, but she remains "concerned on Trump's saber-rattling" with CNN as part of the Administration's objection to the deal. She says that merger must be blocked becaus "it's the right thing to do for Americans, not to suit Trump's personal vendetta." As to last week's vote to overturn decades of local media consolidation regulations, she details what the new rules will allow, and explains how the FCC's Pai has "been rushing all these changes so they're in place by the time they have to approve the merger" between Sinclair and Tribune Media. In the bargain, as she discussed in a recent article at Free Press, Pai's argument that the consolidation of local media by huge corporations is needed to help struggling newspaper outlets doesn't meet the smell test. "They've already used the argument that 'consolidation will invigorate' local markets," she says, "and it hasn't worked". Sinclair is "already the largest broadcaster in the U.S.," she warns and the "first thing they do" after buying up stations "is they close newsrooms." Then, Desi Doyen joins us to explain the decision made by by Nebraska's Public Service Commission on Monday to adopt an alternate route for the long-sought, controversial KeystoneXL Pipeline, just days after more than 200,000 gallons of dirty tar-sands crude from Canada spilled out of the original Keystone Pipeline in South Dakota.